Ford Motors is known for fuel efficient cars in India. 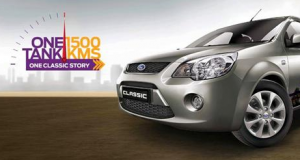 After re-badging ‘Ford Fiesta Classic’ as ‘Ford Classic’, the company has rolled out its first variant – Ford Classic Titanium. 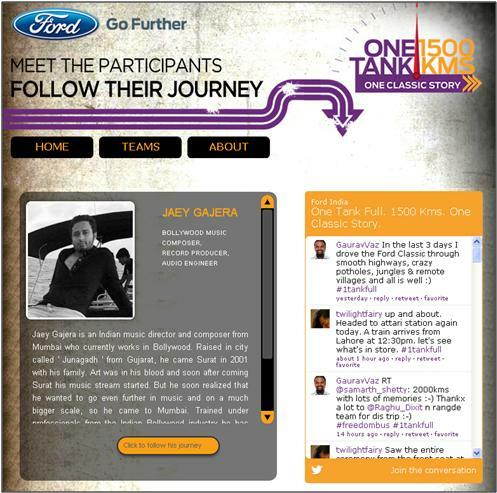 Ford India launched its campaign One Tank, 1500Kms, One Classic Story on 10th August. The campaign provides a platform for 11 individuals to journey towards their dream destination in a Ford Classic. The team will travel to the destination on one full tank across 1500kms. Each individual has a reason for choosing the destination of his choice and will be accompanied by a filmmaker to help capture the entire journey to be shared as web episodes. This fairly explains the One Classic Story part. The 11 participants are divided into 8 teams and each team has its own creative name. The teams were flagged off from Delhi, Bangalore, Mumbai and Chennai in 8 cars. The campaign is not a user-engagement strategy, although the gratification for the winning cinematographer (short film) is Rs. 100,000/-. The campaign is purely an influencer strategy with a host of celebrities teaming from different parts of the country. 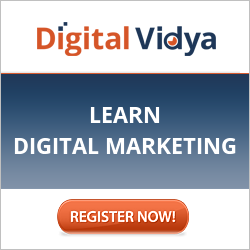 Facebook and Twitter are the primary active platforms for this campaign. The campaign has been tightly coupled with social networks such as Facebook, Twitter and Youtube. With The Facebook page is buzzing with live updates from the teams on the move. The brand that has more than 135K fans has created a Facebook app. The app is exclusive for fans and has been built with a purpose to create awareness about the campaign. The app which is like a dashboard has three vital sections – Home, Teams and About. “Home” screen gives a snapshot of the 11 passionate people along with a Twitter feed of Ford India and “About” is details about the campaign. “Teams” gives the details about the individuals. 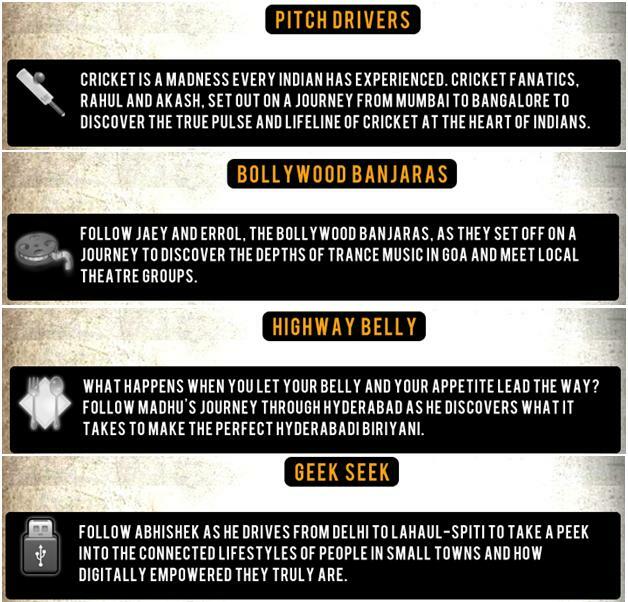 The teams that have been named depending upon the interests of participants are like Highway Belly, Myth Seekers, Shutter Speeders, etc. Once you click on any team, the app takes you to a page where you get all the details of the team, their dream journey along with their individual Twitter stream. For example, I clicked on “Wandering Minstrels” which is a team of Raghu Dixit, Gaurav Vaz and Paarth Garg. On Twitter the brand that has close to 800 followers, has created the #1tankfull hashtag for conversations to evolve for this campaign. The brand has also used Youtube where it is showcasing all the team videos. These videos are small interviews from individuals and their expectations from this adventure. 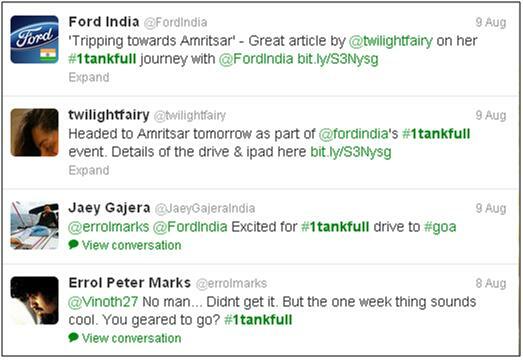 The participants are also tweeting about the activities from their personal accounts using the hashtag #1tankfull and supported by Ford India Twitter handle. Nothing really. You see, you read, you forget. The only valid explanation would be that Ford India wanted to populate its brand among the influencers and let them spread the word through blogs, Facebook updates and Twitter. And they want to position their car as fuel efficient. Good creative example. Some how, I think even though this campaign is very creative and well planned as well, I do not see results at that level. The volume of tweets and Facebook participation is not there till date.